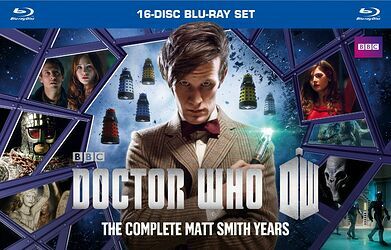 Note: North America-exclusive Blu-ray box set containing the entirety of Series 5, 6 and 7, plus The Day of the Doctor, The Time of the Doctor and An Adventure in Space and Time. Extras are the same as the previous Series 5/6/7 box sets, with the addition of an exclusive bonus disc whose contents are listed below. Eleventh Doctor Matt Smith burst onto the scene in April 2010 with a mad craving for fish fingers and custard and a manic energy that lifted Doctor Who to spectacular new heights! Now this comprehensive collection celebrates his entire tenure with every episode, every special PLUS An Adventure in Space and Time and tons of extras from his brilliant years in this iconic role, including a bonus disc with Matt Smith's 2-episode stint in The Sarah Jane Adventures and four all new extras never before available on disc. 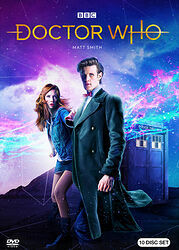 Whether in the company of companions Amy and Rory (Karen Gillan and Arthur Darvill) or the enigmatic River Song (Alex Kingstom) or Impossible Girl Clara (Jenna Coleman), whether battling evil Daleks, the mysterious Silence, the terrifying Weeping Angels, or a host of other enemies throughout all of time and space, Matt Smith's Doctor, the "mad man with a box," never fails to electrify audiences. 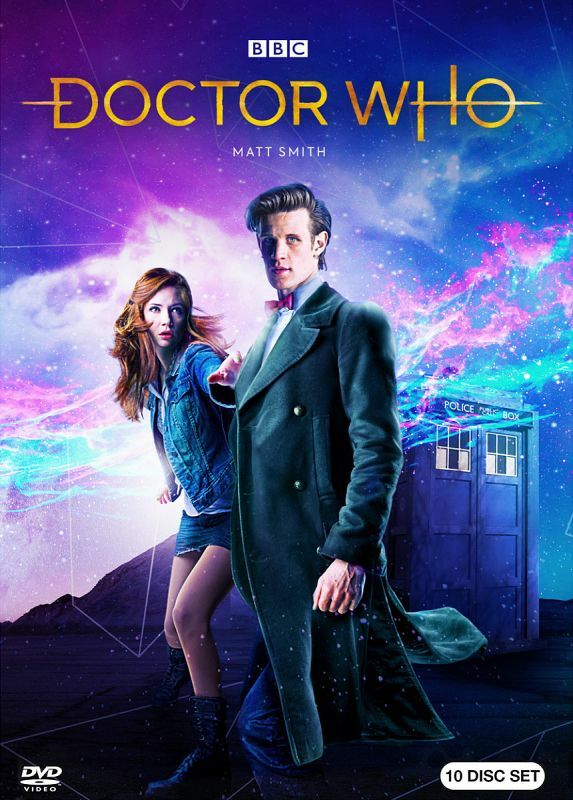 The Epoch of the Eleventh Doctor is a thrill-ride of an adventure, building on a 50-year past and setting the stage for a brilliant new future, and its all here in this stunning collection! 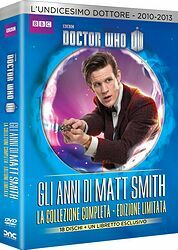 • DOCTOR WHO CONFIDENTIAL • DELETED SCENES AND BONUS SCENES • COMMENTARY • PREQUELS • VIDEO DIARIES • FEATURE-LENGTH SPECIALS • FEATURETTES • AND LOTS MORE! Note: Amazon exclusive. 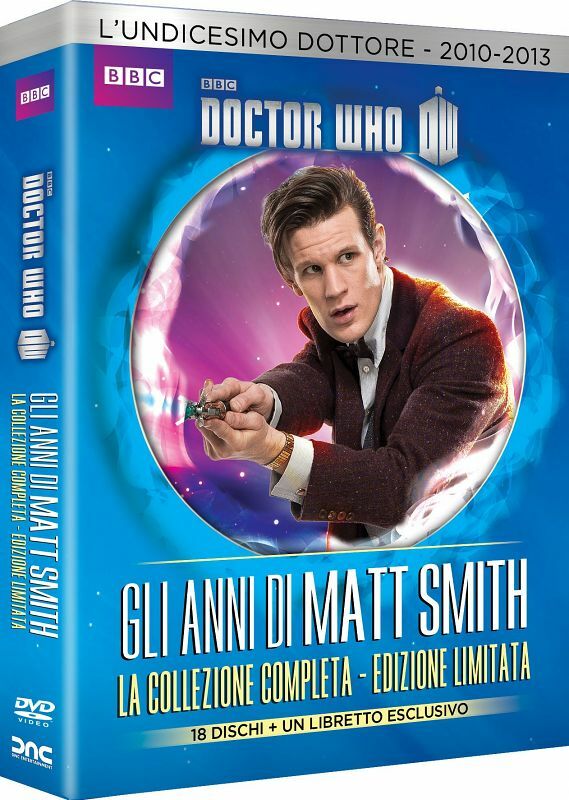 To the annoyance of some fans, this box set does NOT contain the final two episodes of Matt Smith's tenure, namely The Day of the Doctor and The Time of the Doctor — in Italy these are are only available in the 50th Anniversary Collector's Edition box set.